When a tree on your Melbourne property becomes diseased or dies, grows to an unmanageable size, or adversely impacts your plans for landscaping or building, then it’s time to consider its removal. 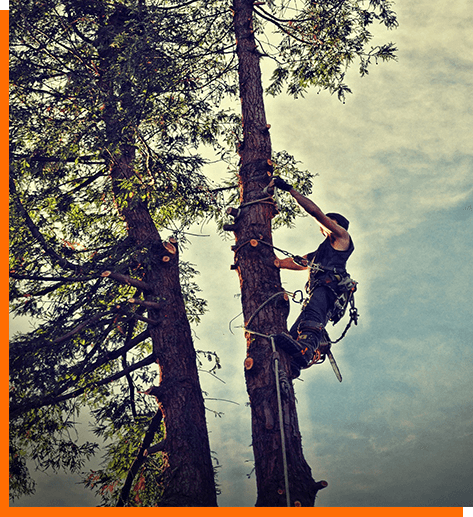 The arborists at Kingfisher Tree Services have for almost 20 years been the go-to people for professional tree and tree branch removal in Melbourne and are on hand to discuss your project tree removal. We invite you to call us today on 0458 733 489 to discuss your tree removal needs. How Much is Tree Removal? Is stump grinding or stump removal needed? Separately, you should consider if there are any costs involved in obtaining council permits for tree removal. In assessing quotes, it is important to compare apples with apples: ask the tree removal professionals about how they will approach the job, and what tools and machinery they will use. This can impact the price and how long it will take them to complete the tree removal, as using specialised machinery can reduce the job time by half. Of course, asking for proof of their qualifications and public liability insurance is a must. We are specialists in tree removal in the eastern suburbs of Melbourne in particular. We know the area, and have testimonials from many local clients. Our business is based on an established reputation for honesty, integrity, and competitive pricing. Our arborists are qualified and experienced, safety is instilled in our work practices, and we truly appreciate word-of-mouth recommendations. If you need large tree removal or just tree branch removal, we’d love to hear from you. Call us today on 0458 733 489.